There are some 90 hours left until Meghan Markle and Prince Harry tie the knot in Westminster Abbey, and this week’s news that the bride’s ailing father, Thomas, suddenly decided not to attend has reportedly thrown the previously happy couple—as well as the Royal Family at large—into full-blown chaos mode. 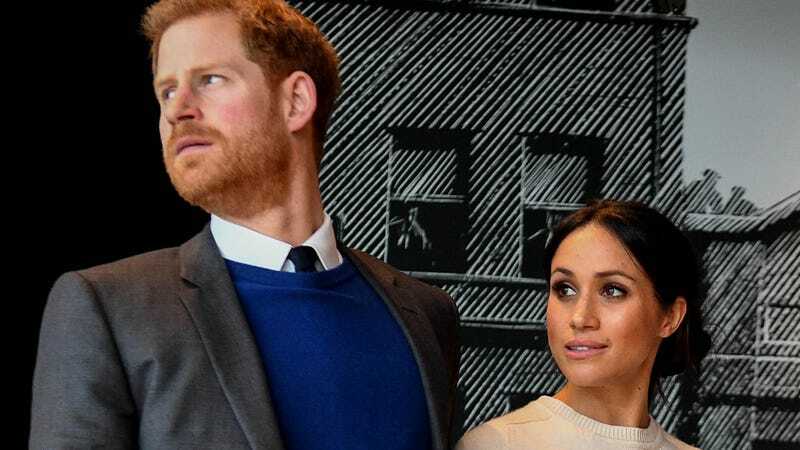 The Daily Mail writes that Meghan is pleading “with her father to change his mind,” and that Harry is “devastated.” The covers of most British tabloids Tuesday morning were chronicling the Thomas-related tumult, but a lot can happen in four days. Maybe Mr. Markle will change his mind. Do we think any of these people know what a Webby is? I mean, honestly, do you know what a Webby is? But what about the nuns, Katy?! What about the nuns! !